Today officially marks a full of week of reaching for a box of tissues, blowing my nose, coughing at the most random times, not getting a full night's sleep because of discomfort. 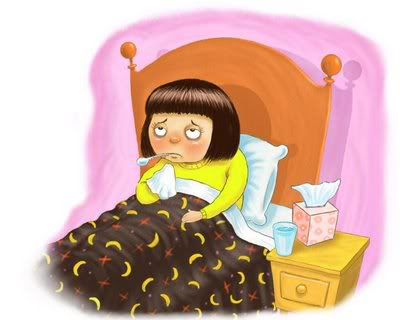 Yes, the common cold got to me -- the worst attack I've had since I moved here two years ago. Before this year, I hardly got sick -- ever. I thought I had a pretty awesome immune system. After thorough research, I learned that working at a daycare likely has something to do with it. I consider myself responsible about sanitizing, getting enough vitamins, hydrating myself like crazy and even worked out 24 days out of October! It's been 8 full days of soups, liquids, vitamin Cs, Nyquils, cups of hot tea, vapor steams, cough drops, and everything else I have heard about curing the common cold. I cannot wait to be better. Any other ideas out there that I may not have tried or heard of? Please pray with me as my grandmother (who I lovingly call "Abuelita") is ill with pneumonia and her body is not taking it well. It is difficult for me not be by her at this time. I wish to see her this Thanksgiving -- a prayer that I humbly ask God for. Will you stand with me on this one? I believe in miracles and I believe she can still bounce back no matter what doctors say. Thank you.